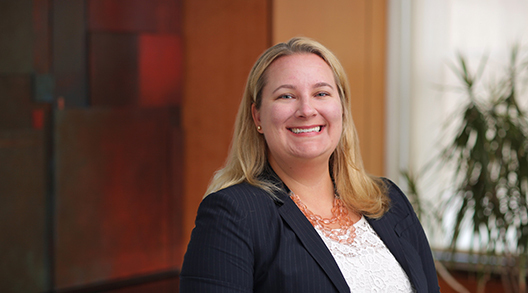 Kristin Keranen focuses her litigation practice on e-discovery, with extensive experience managing document preservation, collection, review and production. She advises clients on best practices and compliance, and develops strategies and policies regarding appropriate discovery measures for a variety of situations, including litigation and regulatory inquiries. Kristin leverages her knowledge of the ever-changing field of technology to achieve efficient and cost-effective results. Managed wide-ranging document preservation, collection, review and production for multidistrict litigation and regulatory investigations into an international car manufacturer, utilizing both a technology-assisted review tool and traditional search terms. Liaised directly with the plaintiffs, co-counsel, regulators, the client and the vendor, and managed issues relating to European data privacy and foreign language document review. Assisted in the representation of a large financial institution regarding complex, multidefendant antitrust litigation. Managed document collection, review and production for three separate rounds of discovery, which involved coordinating with nine other defendants. Presented to the defense group and expert witnesses on both factual and discovery-related topics over the course of five years. Prepared witnesses for depositions and drafted discovery-related, summary judgment and class certification motions. Represented an e-commerce company and an internet company regarding a contract dispute concerning the sale of an internet flash sales company, ultimately resulting in a favorable trial verdict. Managed multiple rounds of document collection, review and production, with accompanying depositions, discovery motions, expert discovery, a summary judgment motion and pre-trial motions. Prepared fact and expert witnesses for depositions and trial. Took depositions of plaintiffs and third parties. Advised multiple clients with respect to internal and multiagency investigations regarding anti-money laundering, Foreign Corrupt Practices Act (FCPA) and Office of Foreign Assets Control violations and other financial improprieties. Advised an international banking client with respect to a regulatory examination regarding electronic trading. Advised an international banking client with respect to internal and multiagency international investigations regarding transactions with a sovereign wealth fund. Advised an international mining company with respect to an FCPA investigation. Assisted an international banking client with respect to internal and multiagency international investigations regarding improprieties committed by a rogue natural gas trader. Assisted an international banking client with respect to internal and multiagency investigations regarding anti-money-laundering violations. Advised a large financial institution with respect to internal and multiagency investigations regarding the collapse of the auction rate securities market and represented the client in ensuing litigation. Advised a large financial institution with respect to a request from the Securities and Exchange Commission regarding subprime automobile loans. Achieved a victory for a victim of domestic violence by winning dismissal of an order of removal and obtaining legal permanent resident status on her behalf. Won dismissal of several retaliatory lawsuits filed against an animal rights group related to their exposure of abuse of animals used in rodeos.